In case you never heard of Chicken Little, he was the star of his own story: a little chicken who was… chicken. Everything was a potentially disastrous situation, and he was chock full of fear and foreboding. The one refrain he repeated was “The sky is falling!” which has since moved into common culture. I would chirp that phrase when my every planned move was met with a rundown of all the disasters that could befall me. Or, it could be something like a truck’s failed brakes just as I’m crossing the intersection that could carry me out of this world, or some other hypothetical situation. But guaranteed, the scenarios were always grim. Of course, there was truth in these fears, and I’ll give some latitude here. It’s not until you have a kid or become close to your tiny relatives that you really understand–in vivid, nightmarish detail–just how dangerous the world can become in a nano-blink. My mom inherited her chicken-little thinking from her mom–a serious pro at it. Whenever we told Grandma about an upcoming vacation we had planned, she would ask where to. No matter where we were headed, she would inevitably say, “I just heard on the news…” and then fill in the blank with some catastrophe or strange happening. Tsunamis in Dubuque, Iowa. Forest fires in Daytona Beach. Mountain lion attacks in Charleston, South Carolina. 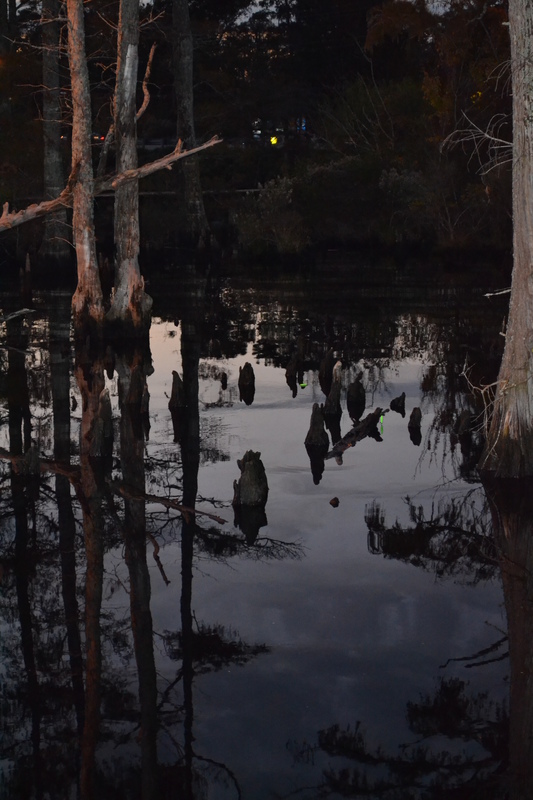 UFO sightings in Dismal Swamp. I’m not sure what radio station she listened to for news, but it was with a cloud that we’d leave on vacation, knowing Grandma wouldn’t rest easy until our return. So, I was raised on a diet of the potentially dark and creepy. Because let’s face it, underneath our veneer of civilization and social interconnectedness, there’s a web of the stuff to ensnare us if we’re not careful. Aliens are attacking websites and blogs under the guise of Explorer 10. No one is safe!! So that explains why Explorer keeps crashing. If the aliens have left the swamp, maybe that’s the place to retreat to, stat!